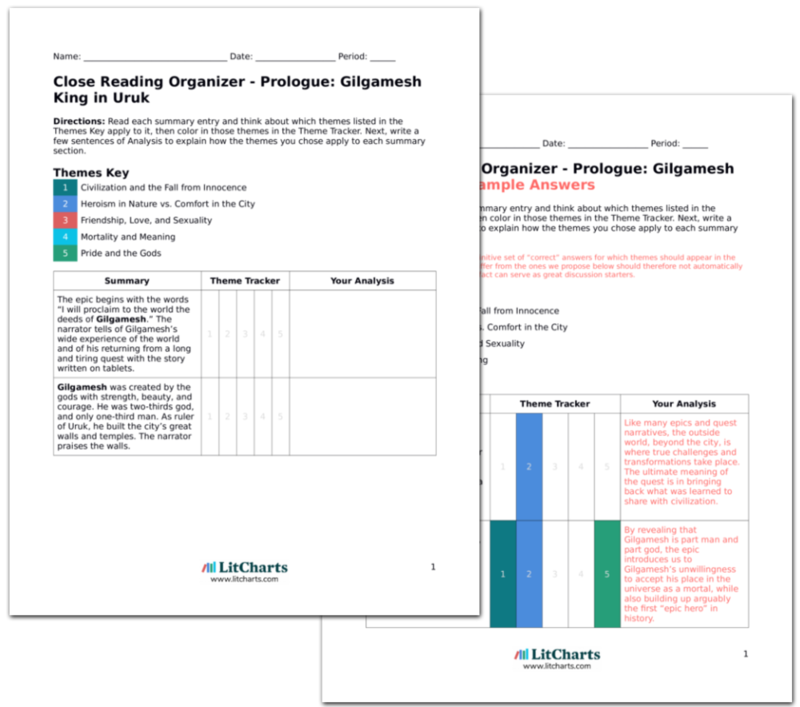 Instant downloads of all 946 LitChart PDFs (including The Epic of Gilgamesh). A common form of the quest narrative involves the hero leaving their comfortable home in civilization to venture out through nature, and then returning with new knowledge. Like Bilbo Baggins in The Hobbit and King Arthur in the many legends of the Knights of the Round Table, leaving a comfortable home forces a character into confrontation with the more difficult questions of morality and existence. Glasserman, Ethan. "The Epic of Gilgamesh Themes." LitCharts. LitCharts LLC, 9 May 2016. Web. 24 Apr 2019. Glasserman, Ethan. 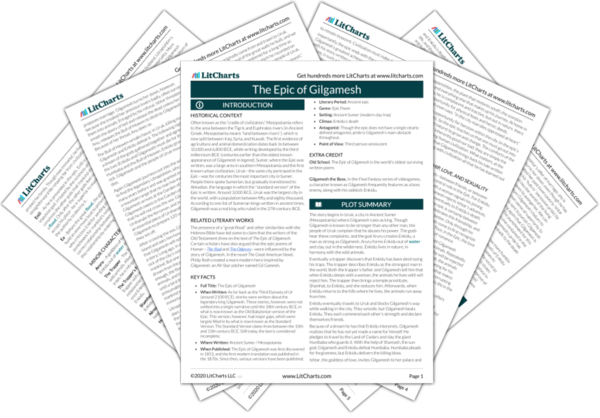 "The Epic of Gilgamesh Themes." LitCharts LLC, May 9, 2016. 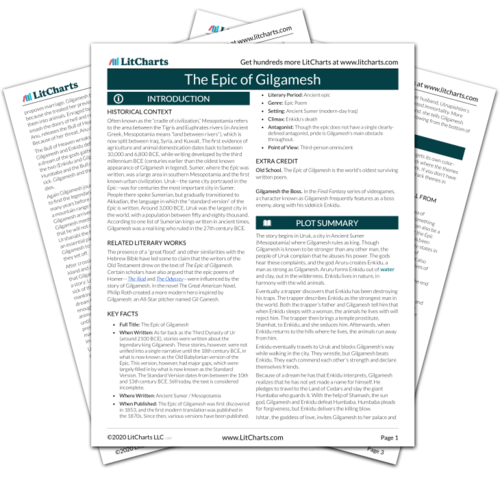 Retrieved April 24, 2019. https://www.litcharts.com/lit/the-epic-of-gilgamesh/themes.